When I was asked to review Paradigm’s new A2 active monitor, I was more excited than I’ve been about a product in a long time. The A2 is the first product in Paradigm’s new Paradigm Shift line, which has been in development for some time. I’d been checking the Paradigm Shift website for months, seeing only a launch date that never seemed to arrive. When the review samples finally appeared, I opened their boxes with great anticipation. The A2 weighs 11.6 pounds and measures 11"H x 6 5/8"W x 8 7/8"D. These are precisely the same dimensions as those of Paradigm’s Atom Monitor, also recently released, and which uses the same drivers as the A2: a 1” anodized dome tweeter and a 5.5” satin-anodized woofer, both made of pure aluminum. The A2 differs significantly from the Atom in having a relatively rare sealed cabinet, as opposed to the Atom’s rear-ported, bass-reflex design, and an active digital crossover instead of the Atom’s passive one. 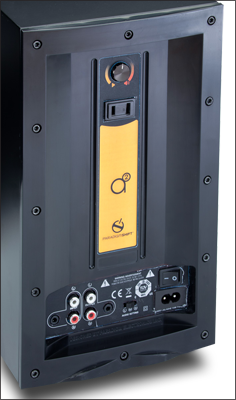 Using DSP eliminates the need for a port while allowing Paradigm to widen the speaker’s claimed frequency response from the Atom’s 86Hz-20kHz all the way down to the A2’s 55Hz-20kHz, ±2dB. That is a huge difference for two speakers that share the same dimensions and drivers, and is even more impressive when you consider that the A2 is a sealed box that lacks the benefit of a port to reinforce the bass. Other benefits of an active crossover include greater efficiency, greater control over crossover slopes, more accuracy in terms of crossover and frequency-response adjustments, and far greater control in terms of equalization. In theory, a digital crossover has one downside: all incoming analog signals are converted back to digital before being processed with the internal DSP, then converted back to analog. This extra cycle of A/D-D/A conversion didn’t seem to degrade sound quality in any noticeable way. Still, the inclusion of a digital input would have been welcome, to avoid the extra cycle of conversions. 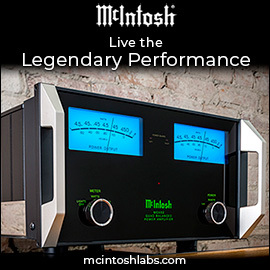 The two-channel amplifier in each A2 is rated at 50Wpc RMS with 80Wpc dynamic peaks. That output may sound modest, but active crossovers such as the one in the A2 are more efficient than passive crossovers, which convert much of their energy to heat. Each A2 costs $279.99 USD in its stock finish of Ash Black Grain, or $329.99 in Storm Black Satin, Polar White Gloss, Gunmetal Gray Gloss, or Vermillion Red Gloss. The Ash Black Grain of my review samples is the only faux-wood finish offered; while it will never be mistaken for actual ash, it combined well with the other elements of the speaker to make a handsome package. Included are a 3.5mm mini-to-mini cable, four rubber feet, and a detachable C7 power cable. The A2’s “manual” is a one-page leaflet, but it does contain all the information the owner needs, including illustrations for pairing the A2s with several different types of associated equipment. Also available are curved stainless-steel speaker stands ($69.99/pair), which bolt to the bottom of the A2 for desktop use. These prices make the A2 not only a potential bargain, but the cheapest consumer speaker I’m aware of that uses an active digital crossover with DSP. 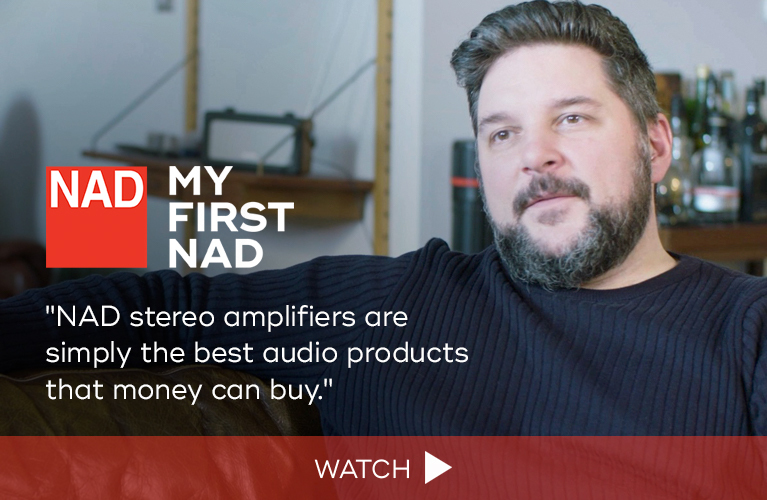 Many speakers are available that incorporate DSP, but most are targeted at the professional market and cost several multiples of the A2’s price. The speaker baffle has a rubberized matte finish with the Paradigm Shift logo at the bottom right. The dome tweeter is recessed in a shallow waveguide. The grille is magnetically attached; the absence of screws or fasteners on the baffle gives the speaker a clean appearance. That clean appearance is spoiled though by a distractingly bright blue power-on LED below the woofer. The Paradigm Shift logo on the grille covers the LED; while a blue glow is still visible above the logo, it’s much less intense -- just enough to let you know that the speaker is powered up. I did most of my listening with the grilles on to avoid the glare of the LEDs. The entire rear panel is made of plastic, the rest of the speaker of MDF. The fact that there’s no heatsinking on the back leads me to believe that the A2’s amplifier is a class-D design, which produces less heat than other forms of amplification, such as class-AB. Even after extended listening sessions at fairly loud volumes, the rear panel got only barely warm. At the top of the rear panel is a gain control; at bottom right are the power switch and power-cable socket, and at bottom left are mini and RCA stereo inputs and outputs. To the right of the outputs is a switch with settings of L, M, and R, for Left, Mono, and Right. You might be asking yourself when or why you’d want to use only a single speaker. The answer can largely be found in the 120V outlet below the gain control, into which can be directly plugged an Apple Airport Express or portable audio player, its analog output run straight into the speaker’s mini input. As far as I’m aware, this feature is unique to the A2, and could make for an extremely tidy and discreet wireless audio setup, with only a power cable running to the speaker. A single A2 could thus effectively replace an iPod speaker dock. It’s a compelling option -- I don’t know how many $279.99 speaker docks could match the sound quality of a single A2 run in mono. And if you want to hook up a second A2 and listen in stereo, all you need do is run an RCA coax or the included 3.5mm mini cable from the output of one speaker to the input of the other, and flip the switch from M to L or R.
The A2 can also be used in a surround-sound system, fed signals from a receiver’s preamp outputs -- or, for an even more cost-effective setup, directly from a Blu-ray player equipped with multichannel analog outputs and a volume control, such as Oppo’s BDP-93. The only downside to using A2s in a surround setup is that each speaker needs to be plugged into an electrical outlet. The Paradigm Shift A2s replaced in my main system another pair of active monitors: the slightly larger and considerably more expensive Dynaudio Focus 110As ($2450/pair). The A2s weren’t fussy about placement in my 17’L x 12’W listening room; they ended up 3.5’ from the front wall, 3.5’ from the nearest sidewall, and 7.5’ from each other and my listening position. 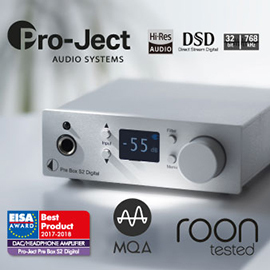 The A2s were hooked up to the analog output of a Benchmark DAC-1 Pre D/A converter, which received its digital data from a Logitech Squeezebox Duet. It was an unlikely pairing -- the Benchmark sells for $1595 -- but I had high hopes for the A2s, and wanted to hear what they were capable of with a familiar, high-quality source. When powered on with no signal present and their gain set to 1/3, the A2s produced a relatively high level of hiss compared to other active monitors I’ve heard at similar gain settings. The hiss wasn’t audible from my farfield listening position or when I played music; I could hear it only when I was close to the tweeters. Their packaging promises the listener an “Intense Bass Experience” with the A2s, so I cued up “Clint Eastwood,” from the Gorillaz’ self-titled debut album (CD, Virgin 33748), which has an excess of deep, rumbling bass. The A2s did an admirable job of portraying a great deal of what’s on this track -- the depth of bass that emerged from such small, inexpensive, sealed-box speakers was very impressive. They didn’t plumb the lowest octave with authority, but Paradigm Shift’s claimed lower limit of 55Hz seemed nearly realized in my room. Later, while listening to the remix of Roots Manuva’s “Witness (One Hope) [Walworth RD Rockers Dub],” from Zero 7’s Another Late Night (CD, Kinetic 67728-54705-2), the midbass was very present -- in addition to filling my medium-size listening room with ease, it made listening to this electronic music a real treat. The respectable depth of bass was matched with an equal measure of bass speed with seemingly no overhang, which gave the A2 the ability to propel bass-driven rhythms with great energy. Bass notes were clearly delineated; there was none of the one-note bass that can sometimes be heard from small or budget speakers. If I were to criticize anything about the A2’s low-end reproduction, it would be the impact of the midbass. This is a small caveat given the speaker’s size and price, but some more expensive small monitors do a better job in this respect; those who like to feel as well as hear their music might choose to use the A2 with a subwoofer, though I never felt one was necessary. As I listened to bass-heavy music, it became apparent that the woofer in the A2 has a great deal of excursion for a 5.5” driver. At moderate volumes, the cone’s movement was quite evident; and when the volume approached the speaker’s limits, the excursion of the cone was significant. Though it appeared to be working very hard, I heard no distortion or compression until volume levels approached the unreasonable. As impressive as the bass was, what really stood out was the precision of the A2s’ imaging. Small monitors have a reputation for good imaging, but even for small monitors, the A2s were exceptional in this regard. The Zero 7 track includes electronic noises that are panned from left to right and everywhere in between; I could follow the sounds as they crossed the soundstage in a way that I’ve heard from very few other speakers. The same sorts of effects are found in “Train,” from Younger Brother’s Vaccine (CD, Younger Brother CDYBR2). At the beginning, a train is heard coming from the left of the left speaker; it travels across the soundstage, then fades into the distance to the right of the right speaker. The A2s’ imaging was accurate enough that I felt I could almost see the individual train cars passing in front of me. This track is also a good demonstration of soundstage width. As the train faded into the distance beyond the right speaker, the sound extended all the way to the right sidewall. With other well-recorded music, the A2s’ soundstage was never constrained. Also noticeable was a depth of soundstage not often heard from speakers in the A2’s price bracket. 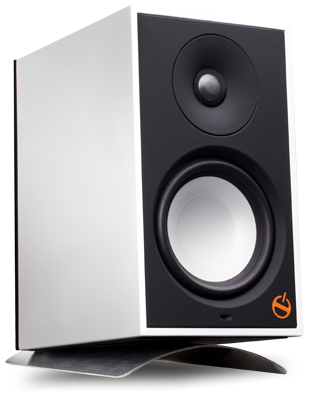 In a class where many speakers can reproduce little or no depth, the A2s performed exceptionally well. The A2’s midrange was open, neutral, and well defined, with no leanness or added warmth. The acoustic guitars in “Solitary Man” and “I Won’t Back Down,” from Johnny Cash’s American III: Solitary Man (CD, Columbia 5009869), had nice body, with a tonal balance that was just a little forward, though not in an aggressive or fatiguing way. The age and coarseness of Cash’s voice came through with all its flaws, and Tom Petty’s backing vocal was distinct through the A2s, nicely complementing Cash’s voice. “Lyon 6.6.06,” from the Red Hot Chili Peppers’ EP Tell Me Baby (CD, Warner Bros. CDW 42956), is mostly just one big distorted guitar solo by John Frusciante. The A2 presented all of this distortion with great clarity, without ever seeming to impart any distortion of its own. This track can sound quite fatiguing through some speakers; that wasn’t the case with the very “listenable” A2. “Red Right Hand,” from Nick Cave and the Bad Seeds’ Let Love In (CD, EMI 2561123), opens with the startling ringing of a bell. At reasonable volumes the bell had good dynamics through the A2, and the decay of its harmonics before Cave’s voice enters could be heard very clearly. At the end of the track is a complex chorus of sounds: organ, bells, drums, a strange whistling sound. The A2s did a good job of distinctly presenting each sound and in a way that made them easy to follow. The A2’s treble offered impressive levels of detail and insight without ever sounding hard or fatiguing. Cymbals were well defined and lifelike, with no excessive edginess or splashiness. They lacked just a bit of the extension and sparkle that some more expensive speakers have up top, but the more I listened to the A2s, the more I appreciated just how balanced they were from top to bottom. No particular area of the audioband drew attention to itself; rather, the sound was evenhanded throughout. The result was a series of long listening sessions that never left me feeling fatigued. I had two other pairs of powered monitors on hand, both from Dynaudio: the BM5A ($1000/pair, discontinued) and the Focus 110A ($2450/pair). Both models have more conventional analog active crossovers with no DSP, both are bass-reflex designs with rear ports, and each speaker has a 100W amp, which is the same as the A2’s power rating. In these cases, build quality and finish were commensurate with price: Subjected to the knuckle-rap test, the 110A produced a nice, dead thud on every panel; the much lighter A2 sounded a lot more hollow. The BM5A fell between them, but its build quality is closer to that of the 110A. By a wide margin, the 110A had the nicest finish, in high-gloss black. The A2 and BM5A are wrapped in black vinyls of similar quality, but the print on the A2 was a little more realistic. With its grille off, the A2 easily looked the cleanest of the three, thanks to a lack of any visible fasteners or grille mounting holes, but the angled corners on the front of the Dynaudios were a nice touch that the A2 lacked. To test how well the A2 could rock, I put on Rage Against the Machine’s eponymous debut album (CD, Epic CZK 52959). Playing “Bombtrack” at high levels, the little woofers in the A2s looked as if about to go into full cardiac arrest, bobbing in and out in a way the Dynaudios couldn’t be coaxed into -- but the A2’s output remained clean at volume levels that were about as loud as I would ever listen. The Dynaudios were able to play a little louder without strain, but the fact that the A2 could play heavy rock as loudly and as cleanly as it did was a minor miracle. The A2 did run out of breath noticeably faster with bass-heavy music, and here the Dynaudios had a distinct advantage. The BM5A, the largest of the three speakers, seemed to have the greatest dynamic range and deepest bass extension when playing the electronic music of Gorillaz and Zero 7, even if the Focus 110A’s specs indicate that it can produce the deeper bass. The Focus 110A had subjectively comparable extension to the A2, but with greater weight, which lent the sound greater impact. All three speakers were deft in terms of speed and agility of bass; I don’t feel that much separated them in this area, though with some bass-heavy music the BM5A could sound a little boomy and just slightly slower than the other two. When I listened to “I Won’t Back Down,” from Johnny Cash’s American III: Solitary Man, through the Focus 110A, it seemed that a veil was lifted from the midrange that I hadn’t realized was there with the A2 -- the guitar felt closer and more intimate through the Focus 110A, and a greater level of detail was retrieved. The same could be said for the BM5A, but the Focus 110A’s tonal balance sounded just slightly laid-back in contrast to the BM5A’s and A2’s more forward sounds. The accuracy of the A2s’ imaging of Younger Brother’s “Train” was superior to that of both pairs of Dynaudios. Strangely, though, the Focus 110As -- and, to a lesser extent, the BM5As -- “disappeared” more convincingly than the A2s. 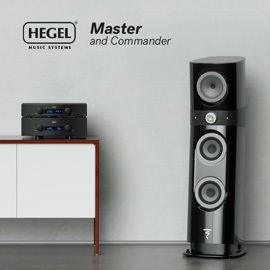 Soundstage width was similar with all three speakers, though the Dynaudios seemed to present more height and depth information. The Dynaudios retrieved more low-level detail, which seemed to emerge from quieter backgrounds, and their highs were a bit more delicate, with more sparkle. The greater level of detail through the Dynaudios let me aurally dissect the chorus of sounds at the end of Nick Cave’s “Red Right Hand” with even greater precision than through the A2. To compare the A2 with something in its own price range, I pressed into service my bedroom table radio, a Boston Acoustics Horizon Duo, which has two 3.5” drivers. The Duo has been discontinued, but is the same as the current Horizon Duo-i Plus ($249.99), minus the iPod/iPhone dock. It may seem a silly comparison, but the Duo-i Plus is only $30 cheaper than a single A2, so it seemed a fair test to see how a single A2 competed against an iPod dock, given that AC outlet on its rear panel. Not surprisingly, the single A2 in mono mode left the Horizon Duo in the dust. The Paradigm Shift’s midrange clarity was so vastly superior that it was in another league entirely. Backgrounds were much more silent, which led to greater audible detail, and the tweeter revealed subtle nuances that the Duo couldn’t even hint at. The Duo’s bass was far too prominent to sound natural, and in comparison to the A2 it was slow, boomy, and distorted at higher volumes. It also had a one-note quality. A single A2 of course gives up the great soundstaging of a stereo pair, but it’s still a compelling option for those without the money, space, and/or need for two speakers, and leaves the door open to adding a second speaker in the future. It was with great eagerness that I received the Paradigm Shift A2s, and they didn’t disappoint. While the A2 couldn’t really compete with the two Dynaudio models, remember that the BM5A retailed for $1000/pair, and the Focus 110A for $2450/pair, compared to just $559.98 for two A2s in the speaker’s cheapest version. Those are big price differences, and the Dynaudios are both excellent speakers in their own classes. From a technical standpoint, the Paradigm Shift A2 offers terrific value by combining all that a great passive bookshelf speaker offers with 50W of amplification, an active digital crossover with DSP, and unmatched flexibility that allows it to be used as a left, right, or mono speaker, as well as powering and housing an Apple Airport Express. All this technical innovation would be moot if the A2’s sound weren’t up to par, but this is where the A2 really excels. 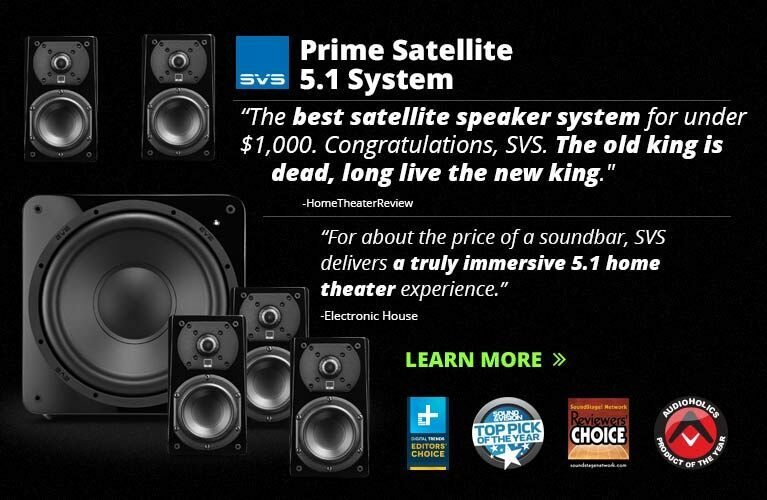 I can’t think of any similarly priced passive speaker that equals its overall performance. 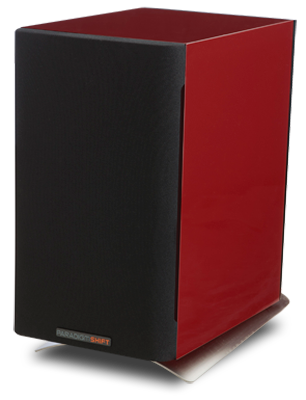 The DSP gives the A2 the deep low end of a bass-reflex design, but with the tightness of a sealed cabinet. The A2 offers genuine high fidelity in the form of a very balanced sound throughout the audioband that never left me feeling tired. Despite its affordable price, it has no significant shortcomings. This first offering from Paradigm Shift is true to its name. It does indeed embody a paradigm shift that other manufacturers can only strive to emulate. I recommend it without reservation. Price: $279.99 USD each in Ash Black Grain; $329.99 each in Storm Black Satin, Polar White Gloss, Gunmetal Gray Gloss, or Vermillion Red Gloss.